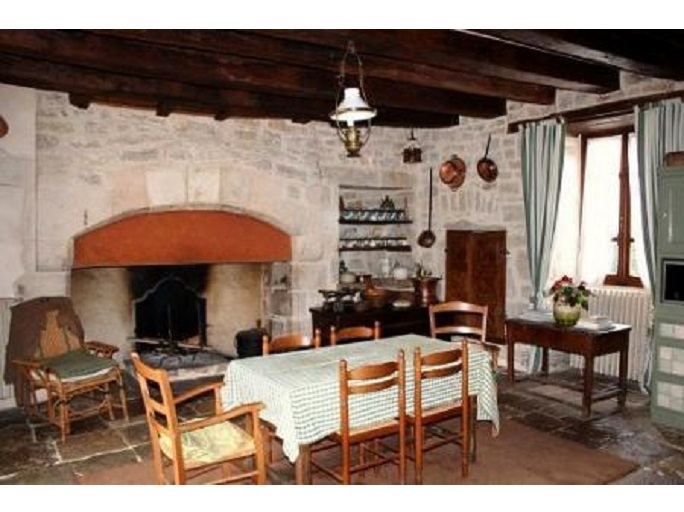 North Lot - Manor house for sale, 15th century, 235 m2 approx, land of 2 ha, barns. 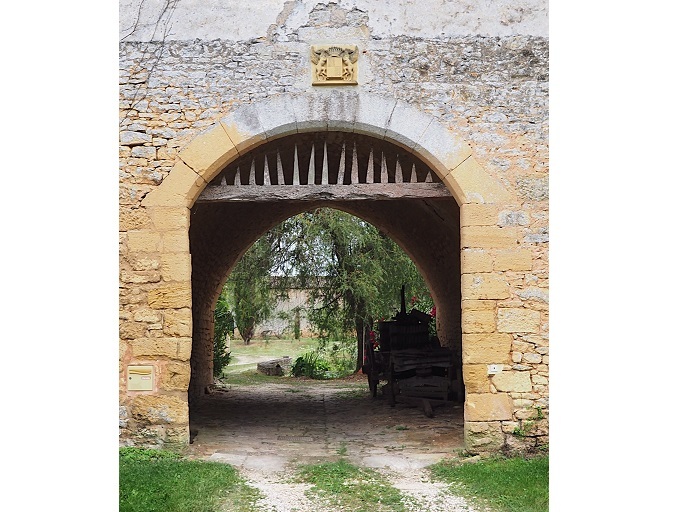 Composition : Former outbuilding of a castle, partially from the 15th + elements from the 18th century, quiet, beautiful sight, completely redone tastefully and in the spirit, 235m² livable in the house + 45m² in the barn. Manor house: in the tower, beautiful vaulted cellar (14m of length), beautiful spiral staircase, paved ground, kitchen 40m², big fireplace in stone, 3,20m ceiling, shower-room, toilets, beautiful dining room 45m², beautiful stony fireplace, flagstones on the ground, redone ceilings, 1st floor: small bedroom 14m², lounge with fireplace 35m², shower-room, big bedroom 35m² with fireplace and high ceilings, 2nd floor: big bedroom ~35m² + converted attic part, insulated, ~25m². Small barn 35m² with garage for 1 car, bread oven, redone roof. Barn 150m² approximately, restored and converted part of approximately 45m² livable, open kitchen + dining room, sleeping corner, shower-room, + 2nd part of barn, garage, workshop, boat frame, redone roofing, on 2 levels. Land of 21300m², water tank with coal filter and pump, pond, kitchen garden, wall, nice sight on the surounding landscape, quiet, nice exposure to South/West. 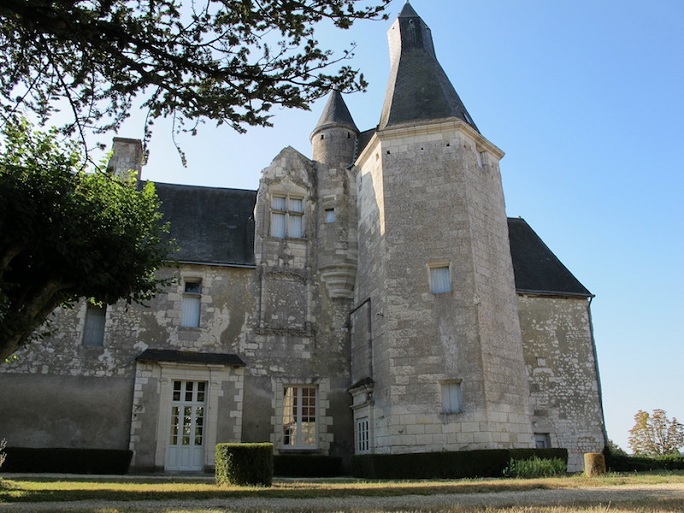 Indre et Loire, 3h from Paris, 25mn A10 - Medieval Base Castle to be restored for sale , XIII and XVth centuries, of 470 m2 of living space, on 2 hectares of meadows and woods , outbuildings. 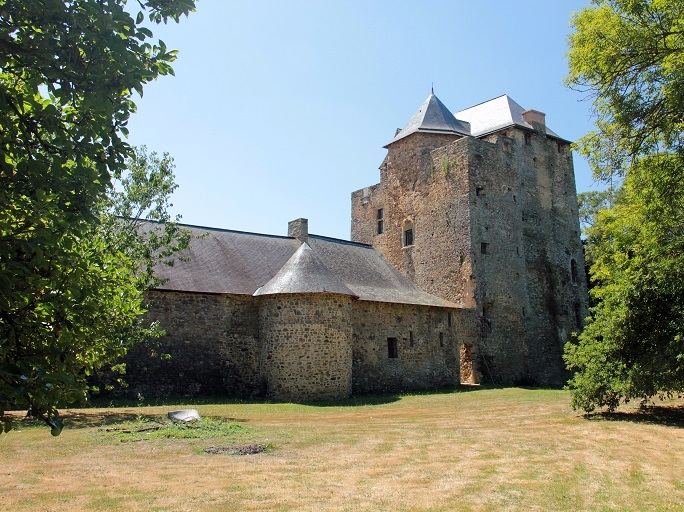 3 hours from Paris and 25 minutes from the A10, this castle, built in 1489, retains a circular tower half-leveled, former dungeon of the primitive castle dating from the thirteenth century. The house includes: On the ground floor: terrace side, an entrance with internal stone stairs, currently covered with oak steps, access to the cellar and boiler room, a kitchen-dining room, a living room with fireplace monumental 15th, a small office, a toilet with sink. 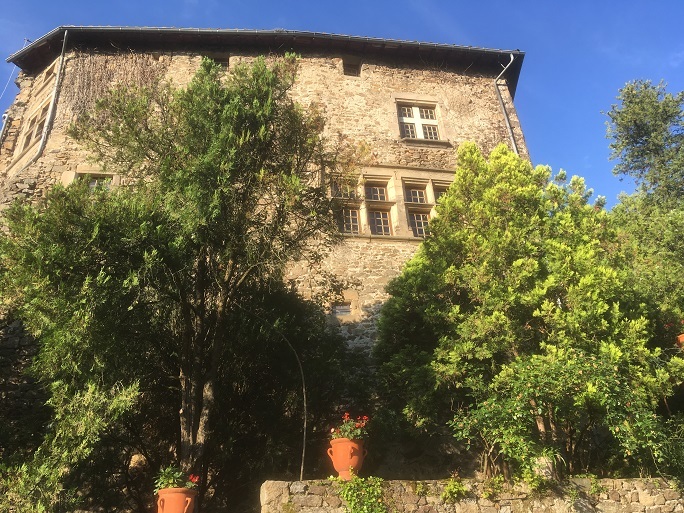 On the first floor: The property is composed of the main building habitable on an area of ​​150m2 and a beautiful part to restore of 320m2 including rooms with period fireplaces. 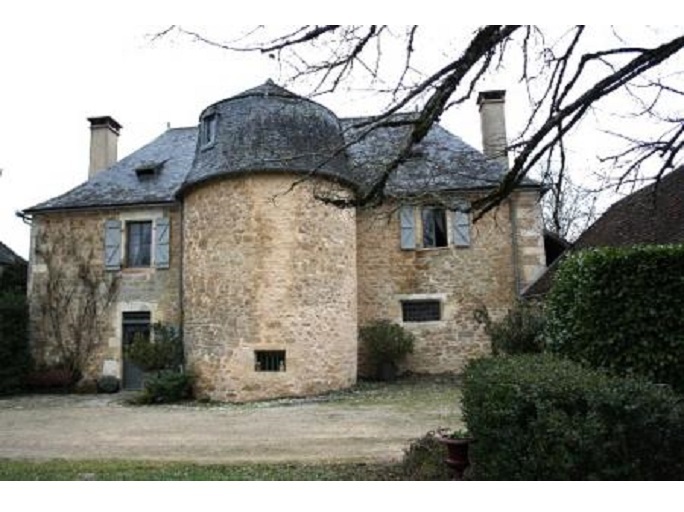 Bergerac 30 minutes, quality environment - Medieval castle to restore for sale, XI, XV and XVII centuries, approx. 520 m2, on 9.6 ha of land and wood, large outbuildings. 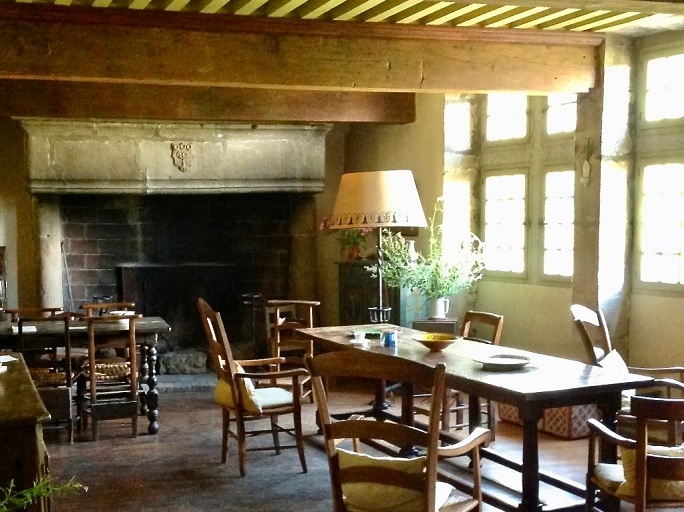 Biron, at the foot of one of the Perigord baronies - Fortified Farmhouse Medieval to restore for sale, 30 main rooms, on 27 acres of land and woods, outbuildings, caretaker's house. 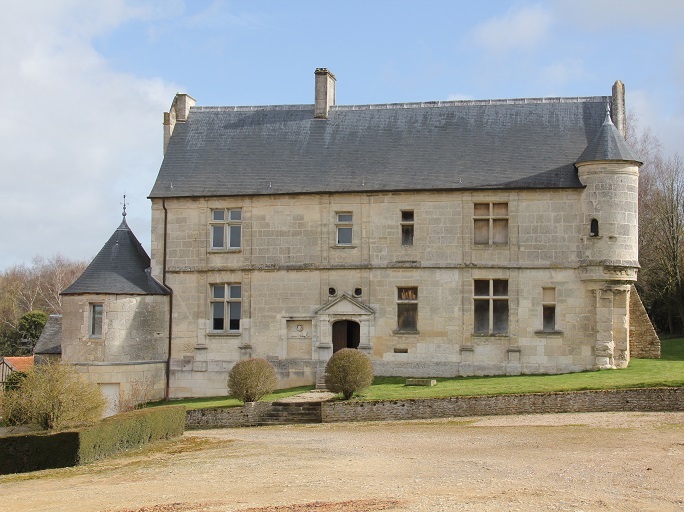 Old farm, on the borders of Périgord, and Lot et Garonne, at the foot of one of the Perigord baronies, the former stables of this famous castle are for sale. 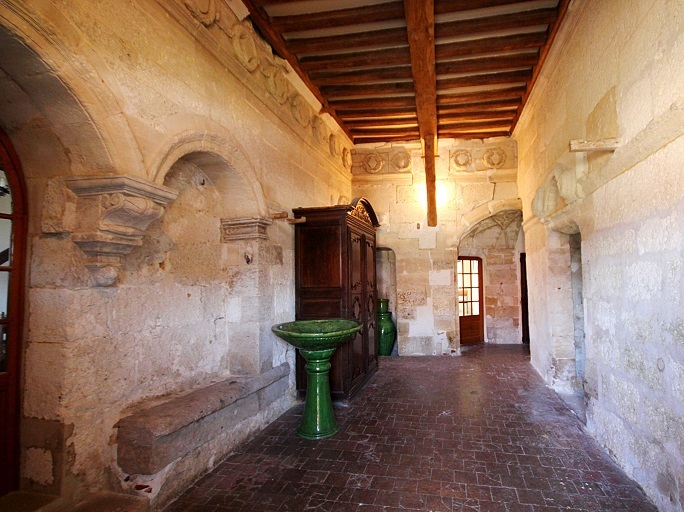 Château-Gontier, surrounded by moats - Medieval keep for sale, 12th century, 225 m2 approx, on 4.5 ha of land, outbuildings. Situated in a slightly hilly and quiet countryside, the property is situated on the bank of a small river. 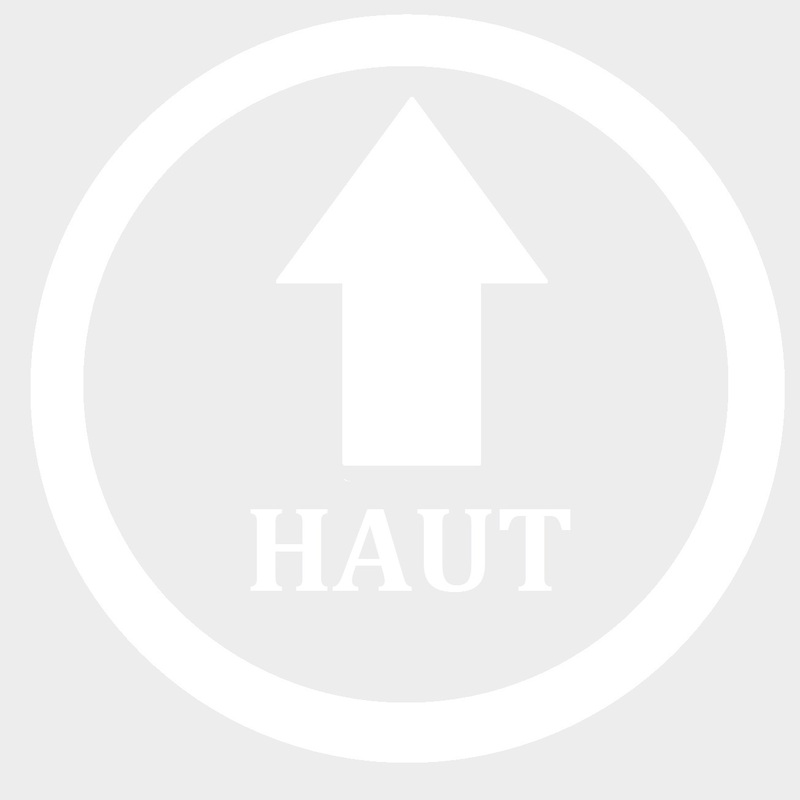 Built back on the 12th century, it was a former lookout post on the limits of Brittany and Anjou. The building is surrounded by moats and comprise on the garden level, a cellar and a boiler room. A superb spiral shale stairway leads to 3 levels, the roof space and the terrace. 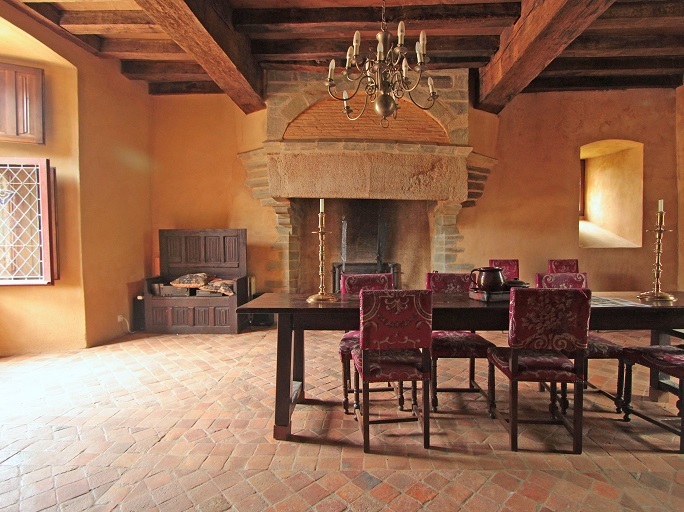 Apt, close to Lubéron, in a dominant position - Medieval Castle partly restored for sale, from the 16th century, 300 m2 approx, with 100 m2 of garden and terraces, outbuilding, cellars. This castle of 1546, dependent on an old Seigniory of Provence, proposes a total surface of approximately 550 m2 of living space of which 300m2 are already restored and consist of 11 main rooms, of a garden contiguous to a large interior room under vaults in stone, closed by grids , and a beautiful terrace covered by several arcade. On the floors, six rooms remain to restore, on 2 levels, offering exceptional views of the surrounding countryside. Tarn et Garonne, on the remparts of a 12th cent. 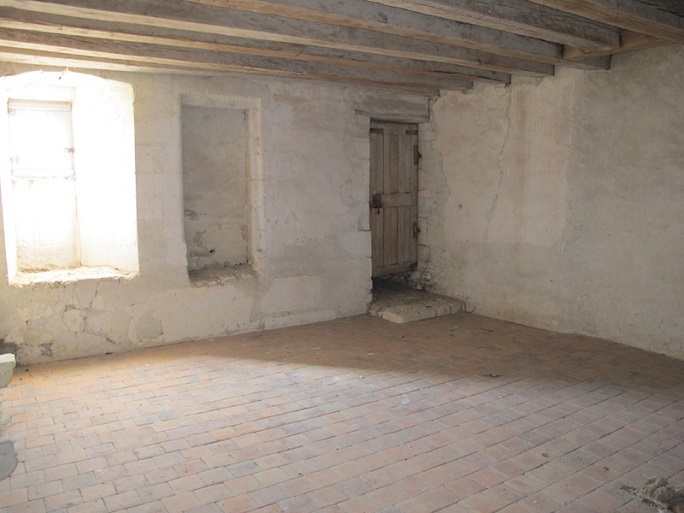 bastide village - Medieval House for sale, 600 m2 approx, terrace, swimming-pool. 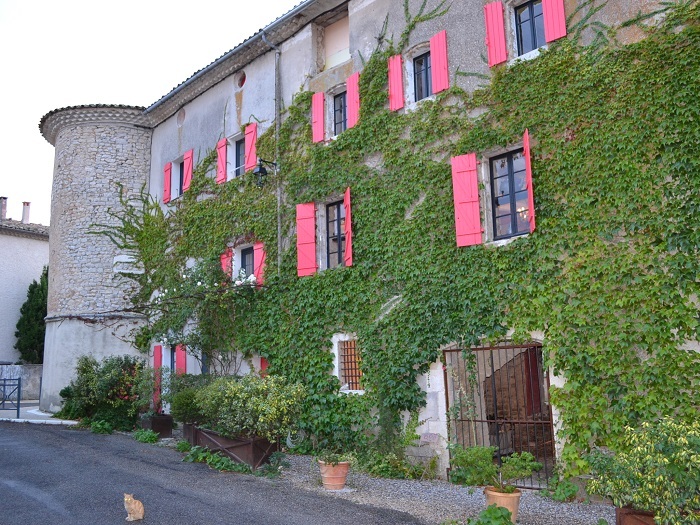 Giverny, in a charming village - Medieval and Renaissance Manor house for sale, late 16th century, 500 m2 approx, on 3.8 ha of land, outbuildings. Dated from the end of the 16th century, this beautiful traditional manor house with its rubble stones, bricks and tiles, is located in a charming village. The property benefits from a countryside surrounding. 1.5 km away a town offers the first facilities and 5 km away a small city offers all the shops and services. 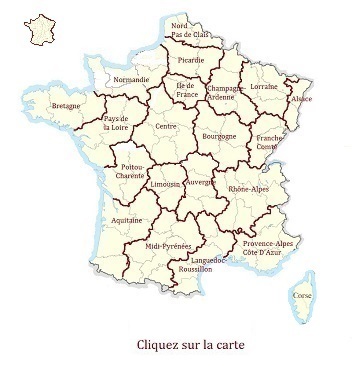 The property is located near Giverny, between Paris (at 70km) and Rouen (at 55km). The property is easily accessible by motorway and train. 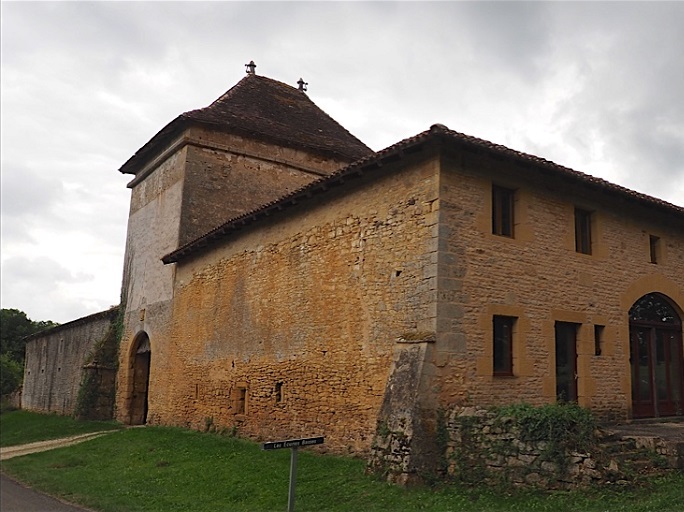 In a medieval village - Medieval Castle without any work for sale, from the 13th and 18th centuries, 600 m2 approx, land of 1 588 m2, swimming pool, amazing view. 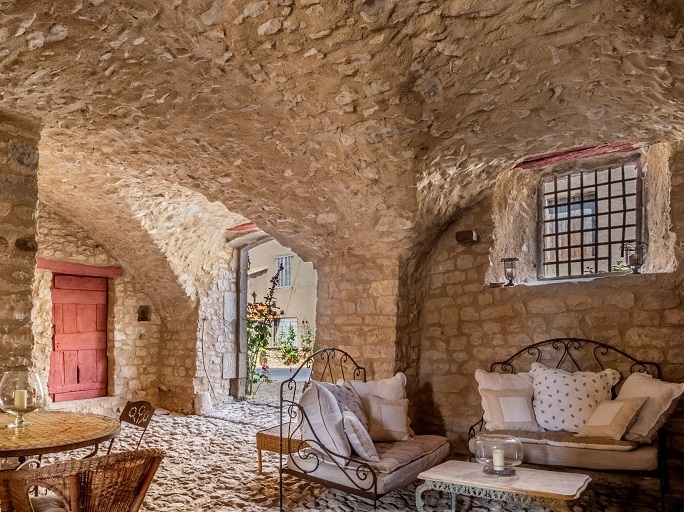 In a medieval village, 13th century Castle, reshaped from the 18th century and renovated since 5 years by an antique dealer and a architecte. 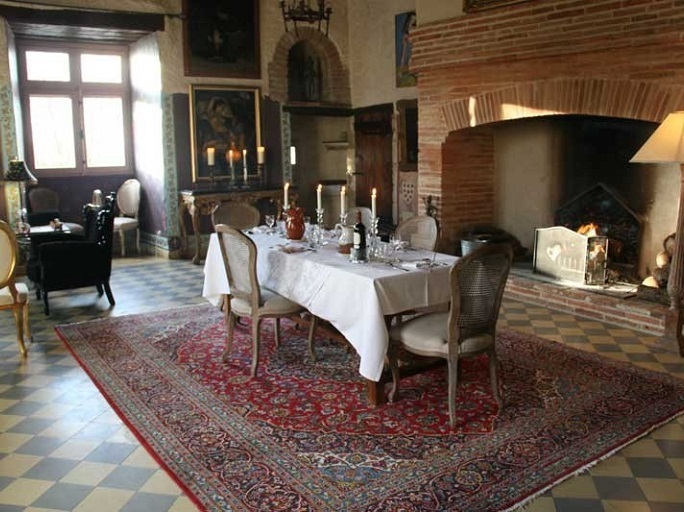 This property, used as chambres d'hôtes, has kept all its original features such as "à la française" ceiling, spiral staircase, 17th century wooded floor and paving stone floor. Amazing view, private and enclosed hanging garden, with swimming pool.